The new Toyota Camry still has a V6. So that's something. For years the Honda Accord was synonymous with many things, specifically build quality, space for the entire family, and its fun to drive factor. The latter was made possible for two reasons: chassis and suspension tuning, and the optional V6 engine. As we previously reported, the upcoming 10th generation Accord, due in 2018, will ditch the naturally aspirated V6 for a pair of turbocharged four-cylinders. While Honda has promised an optional 2.0 turbo-four that will be more powerful than today's V6 (278 hp), it won’t have the same sound and feeling, and that matters. To its full credit, a six-speed manual will be offered in both turbo fours, but will that satisfy V6 devotees? 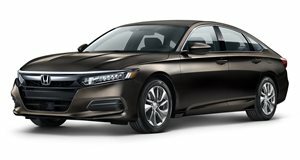 That remains to be seen, but the factors that led to Honda killing the Accord’s V6 were emissions regulations and – this is key – mid-size sedan competitors have already done so with little to no consumer backlash. If Chevrolet, Hyundai, Kia could successfully drop the V6 in the latest Malibu, Sonata, and Optima, respectively, then why can’t Honda do the same with the Accord? The Accord hybrid will return, obviously, but turbocharging makes sense both economically and, because of the precedents set by its competitors, culturally. The non-luxury, mid-size sedan US market, as a whole, no longer demands V6s. So we can criticize Honda all we want for its decision, but it was a combination of circumstances that guided its ultimate logic. Expect this industry trend to spread.